Penny Read passed away October 22, 2015, following a heroic battle with oral cancer. Penny had complained to her dentist for several visits about some soreness. Her concerns were dismissed as she was advised that the symptoms would go away. 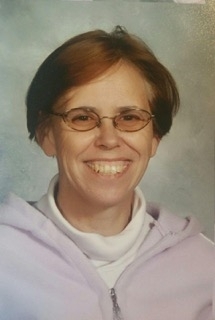 Penny was a professional Speech and Hearing Special Educator. She had helped thousands. As a past president of the local Speech and Hearing Center she knew the ramifications of the affliction. Following a second opinion, Penny was rushed into a lengthy surgery in January, 2015, with additional surgeries. Five months later, she returned home to await further surgeries, new teeth, and facial plastic amendments. During this time she remained on a feeding tube, struggled without natural moisture in her mouth, and a man-made jaw, an artificial roof to her mouth, no teeth, and an open wound in her cheek. Penny remained optimistic, hopeful and eager for the next stage in her recuperation. She continued to look forward to spending quality time with her lovely daughter and five-year-old granddaughter. Penny was very active in the local Speech and Hearing Center and served as President several times. She was a dedicated Bagpiper involved in several bands. By late September there was more soreness that prompted the need for further examination. This new tumor was not operable. Chemo might have been possible; however, the new growth was very aggressive. Penny passed away a short three weeks later with her family at her side. The family would suggest that you become educated about Oral Cancer through this site www.oralcancer.org and suggest that your family and friends request that your dentist complete a thorough cancer exam with every hygiene visit. Donations can also be made in memory of Penny Reed by mailing a check payable to the Oral Cancer Foundation to the address below. The foundation can also accept credit card donations over the phone at (949) 723-4400.